A little spark can start a raging fire. Fires can be very destructive and can leave you traumatized for life. It can be difficult to overcome a fire accident without proper support. 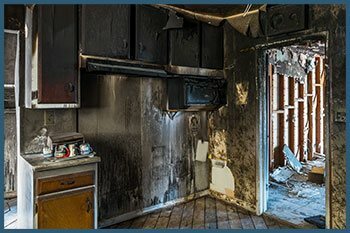 To help you fight that challenge boldly and pick up where you left off, we, at Miami Gardens Emergency Restoration, offer a full range of fire damage services that will help you regain your normal life. 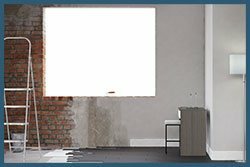 Miami Gardens Emergency Restoration is a local service provider with years of experience in providing fire damage restoration to commercial and residential clients in Miami Gardens, FL area. It is our job to prevent and reverse as much damage as possible. What happens after a fire? While the fire is controlled within minutes of the alarm sounding by alerting the fire department, the havoc it leaves behind can be heartbreaking for the property owner. Fire damage is not just about annihilating things. Think about all the smoke that accumulates in your home, the damage caused by water and chemicals to put out the fire and the odor that burnt materials leave behind. It takes but a few hours to make your decade old home into a stumbling block. Even if the structure is salvageable, think of all the soot that collects on the things, damaged metal fixtures, wall discoloration etc. You cannot make your house into a home without the help of a professional! As soon as the fire is contained, the first 24-hours are of crucial importance. This is when fire damage restoration professionals have the most vital role to play. If you call us on 786-350-3360 for help immediately, a lot of the damage is not only reversible, but also preventable. As a result, you will be able to save remediation costs and restore our property back to pre-loss condition quickly. The longer you wait the more damage your property will have to endure. Don't let a fire accident claim more than your property! We understand how disturbing this experience can be. This is why we urge you to call us immediately to help our restoration experts get to work before the damage gets worse. We are available round-the-clock, so don't hesitate to pick up that phone! 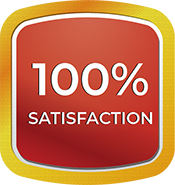 We are the best and the most affordable fire restoration service in Miami Gardens, FL area, so rest assured that your property and its repair is in safe hands. At Miami Gardens Emergency Restoration, we are committed to mitigating your losses caused by fire and smoke. It is our job to rebuild your property back to its pre-loss condition. When you call us, we send our professionals to assess the damage caused by fire. Then our experts with exclusive knowledge of water, smoke and soot damage will use their skills and tools to begin restoration work. We start with soot removal, purging your home of toxic odors and fix all the water damages done. Don't suffer after a fire accident. Call us at 786-350-3360 today and let us help you overcome this incident!